Lightest model on the market at a mere 11 lbs. 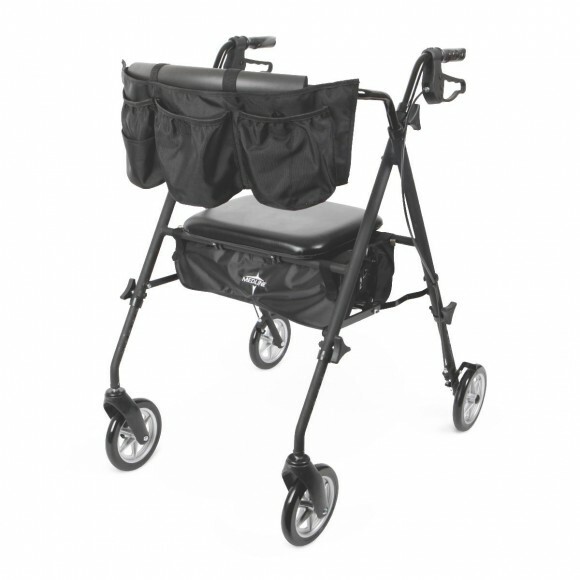 The Medline Freedom Ultra-Light Rollator is the lightest model currently on the market weighing in at a only 11 lbs. 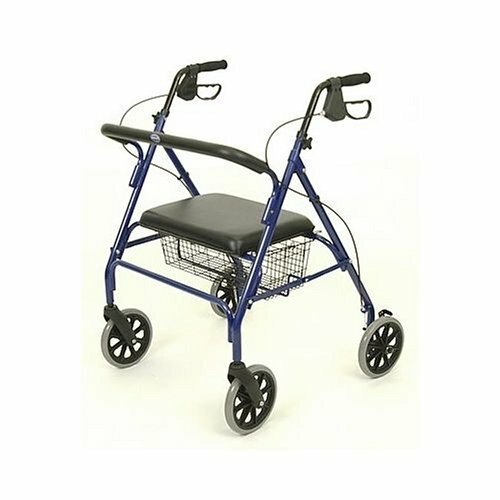 Ideal for on-the-go individuals, the lightweight frame in an attractive smoky blue paired with folding capabilities make the Freedom perfect for getting in and out of the car and stowing away when not in use. 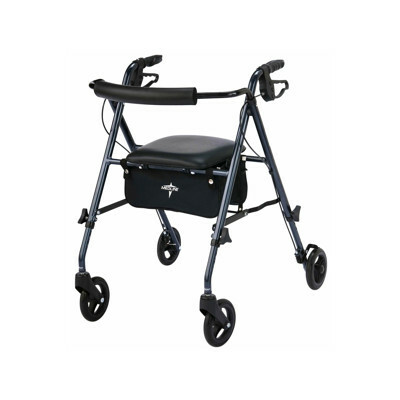 With height-adjustable arms and legs, users 4’10” to 6’2″ can personalize the fit. A roomy 12″ x 12″ seat and 6″ wheels provide added comfort and easy mobility on a variety of surfaces. Taking the chair with you? 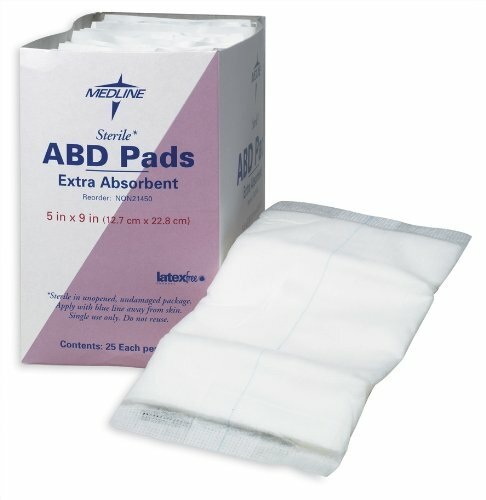 A large storage bag beneath the seat includes a water-resistant pouch and shoulder strap to take on inclement weather. 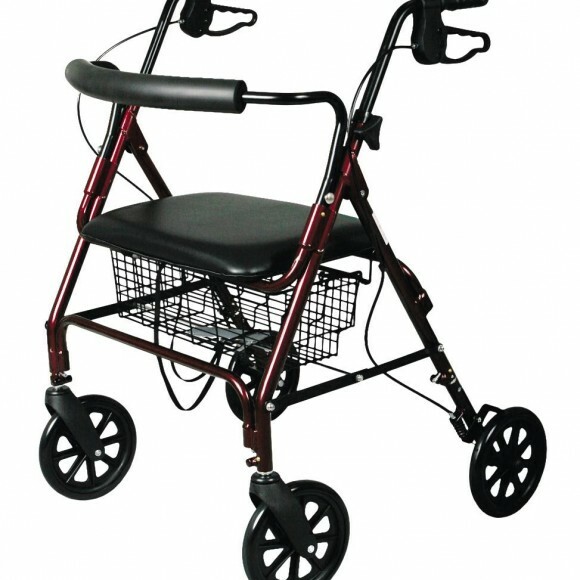 Rollator accommodates users up to 250 lbs.